Chilean billionaire who was elected the President of Chile in 2010. Before entering politics he was a longtime Economics professor at the University of Chile. He lived in New York City while his father was the Chilean ambassador to the United Nations before attending the Pontifical Catholic University of Chile, where he attained undergraduate degree in Business and Administration. 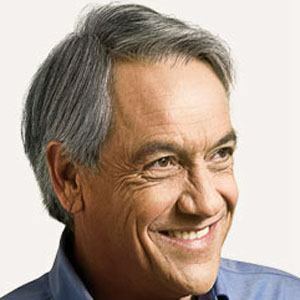 His wealth is greatly due to his involvement in introducing credit cards to Chile in the late 1970s and his subsequent investments but he has also worked in television. He married Cecilia Morel and had four children. He was born in the same country as Chilean dictator Augusto Pinochet.